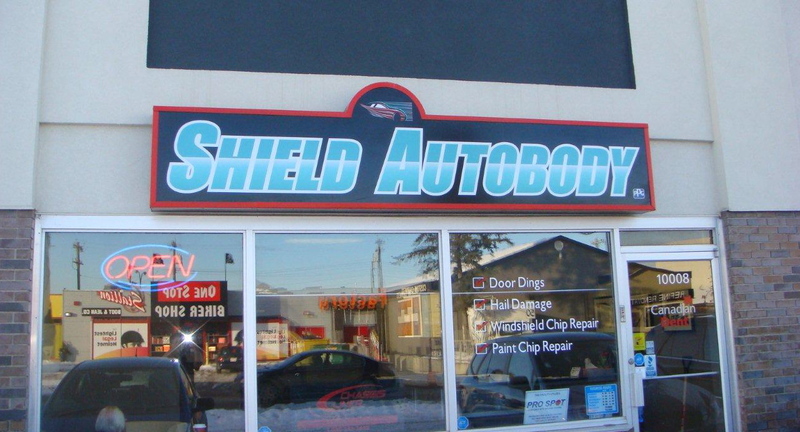 We finally have our new sign. It looks great and now we don't come off like a shady backdoor operation. Up to this point putting money into advertising our name seemed pointless. 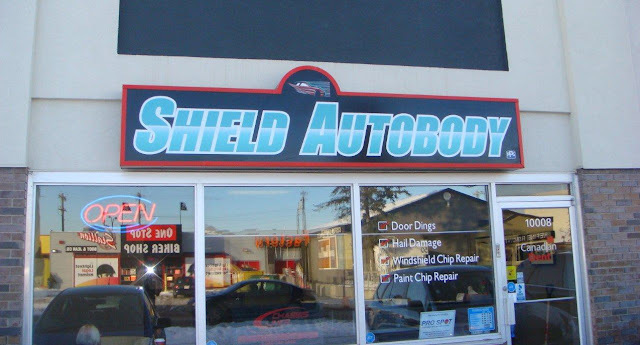 It was near impossible to find Shield Autobody unless one of us had told you what to look for. One more step closer to taking over the world. Great sign!!! Congrats guys. I love following your blog as Ben and I are running our own business, and now looking to get a retail space in the next year or two. So a few years behind you guys, but can relate a lot. And how you do this with kids is beyond me - an inspiration!